Peregrine Theatre Ensemble is a professional performing arts company aiming to continue the tradition of quality theatre that has enriched the unique culture of Provincetown for decades. their goal is to produce works that are developed through a dedicated artistic process and reflect a wide array of theatrical genres. 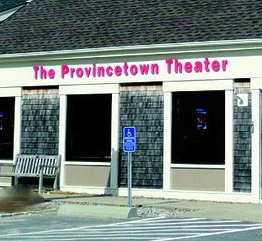 They strive to cultivate and educate audiences of all ages through performance, workshops, and classes, and foster artistic relationships with other nonprofit organizations, resulting in increased sustainability for the Provincetown community.